When you're a new mom, everyone tells you time will fly. And it does. Motherhood makes life go by in warp speed. Children grow and learn and move tremendously fast. Jett turned three on Friday and my, does he live up to his name! He was born fast and he lives fast. He never skips a beat. 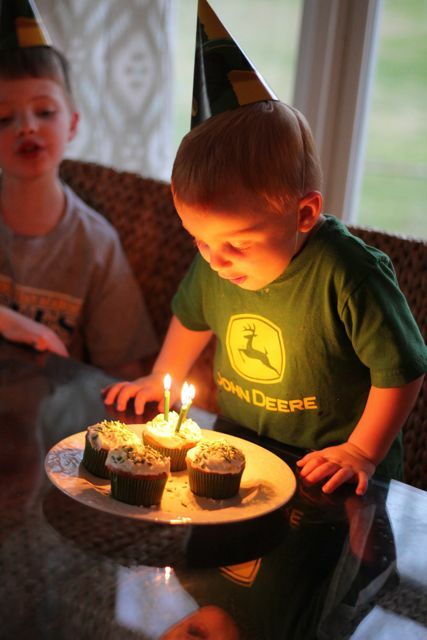 We celebrated at home with a simple family party in true John Deere fashion. 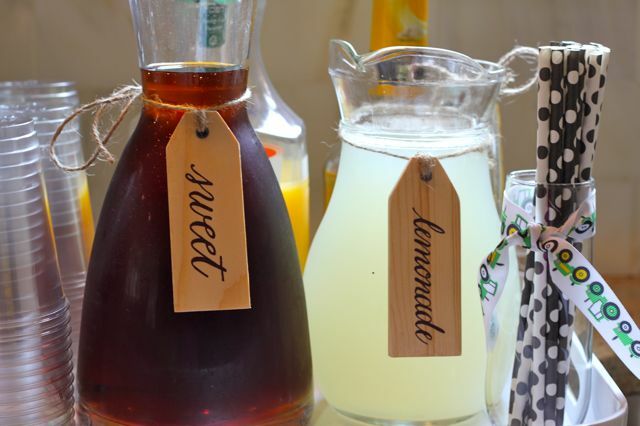 With the exception of a few pretty things like my drink tags from Ballard Designs. 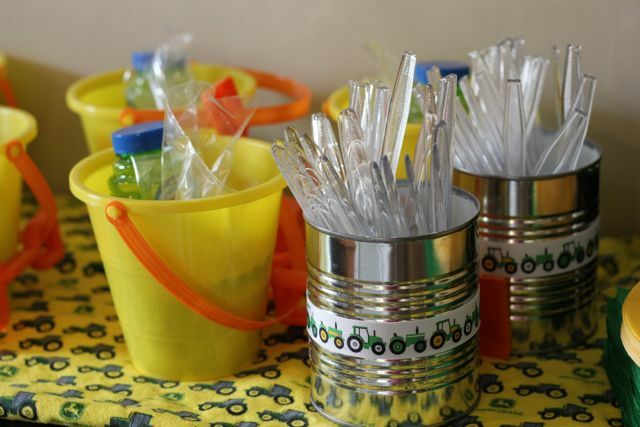 I dressed up a few recycled tin cans with John Deere ribbon and decked out the buffet in John Deere flannel fabric which every "boy mom" should have just lying around. Just in case you know! Y'all know I'm not a baker but "Duncan" helped me out and I piped one some green and yellow frosting to make it special. 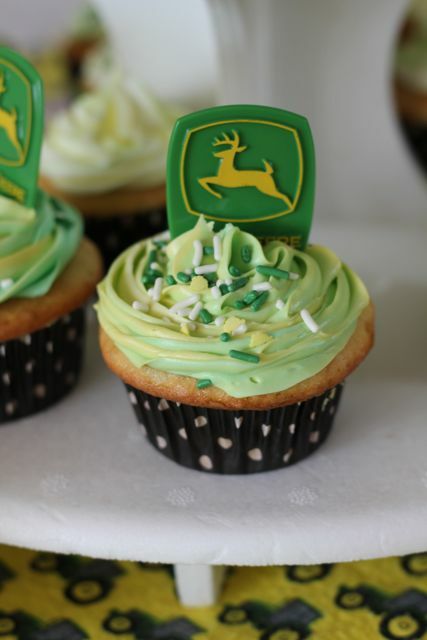 You can find the John Deere cupcake picks here. 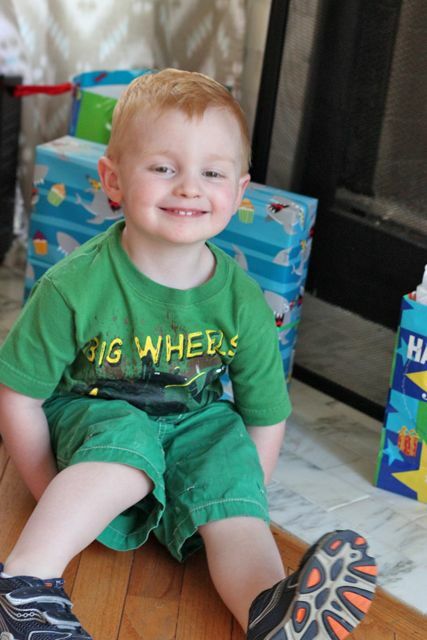 Here's the birthday boy ready to open some gifts. Gosh I love him! He just lights up our family in all sorts of ways. 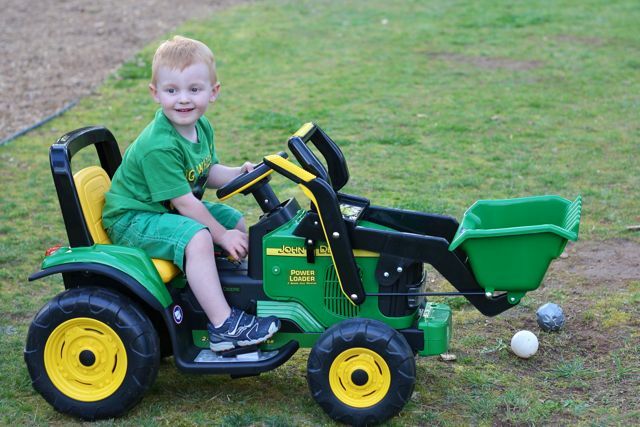 Do you think he likes John Deere Loader? It moves at warp speed but big brother still thought it could go a little faster. Jett didn't mind at all and even put his hands up to let me know he could drive with no hands. Lord help me and my grass in the back yard. Little birthday boy making a wish. Isn't life precious when you're three? Love the pics so much!! The one of Luke pushing Jett with the look of pure joy on Jett's face...priceless!! Happy Birthday Jett and mom!! That's my favorite too! 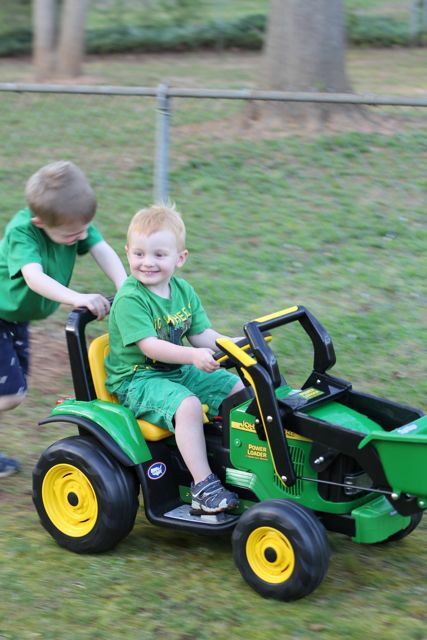 He has already logged a few hours on his new tractor. He loves it so much! Hi Michelle and glad you found me! Congrats on your new baby boy too. They are so much fun and really keep you moving. You'll certainly have a good time celebrating all of life's little milestones.